Telecoms.com periodically invites third parties to share their views on the industry’s most pressing issues. In this piece Derek Canfield, General Manager, Business Analytics at Teoco talks about the network challenges associated with major sporting events like the World Cup. Imagine the scene. It’s the World Cup final and 80,000 people in Moscow’s Luzhniki stadium are craning their necks from the seats to watch a referee look at his small video screen beside the pitch. Meanwhile a worldwide TV audience expected to top one billion people will not only see the replays themselves, they’ll have experts and former referees explaining what is happening to them. This situation is common for the American sports fan. The lead official at an NFL game can often be seen going under the hood to review on a private screen a tight call in a game that has countless interpretations available. And while the crowd boos or cheers the big screen replays, the audience at home get a detailed explanation from an ex-official or rules expert on the situation unfolding and the possible verdicts. But is it right that the paying audience in the stadium, often including the most passionate fans, is left a little in the dark, so to speak? Of course not, and thus we see a good number of them will have their smartphones out trying to track what’s happening, and get the inside scoop on the likely decision moments before it is revealed. In fact, our digital world is intended to give the passionate fans the best of both worlds: the energy and of the live event, enriched by readily available content and analysis on their respective devices. However, unless the stadium’s communications capacity is being actively managed and flexed to allow the live audience to keep track of developments on their mobiles, it is possible and even likely the stadium will score a network own goal and leave its audience frustrated. Simply cranking up the network capacity is only part of the solution. To really improve things for the fans on site, operators need a much better understanding of what the spectators in the stadium are actually doing. This involves tracking the apps they are using, the feeds they are watching, and understanding all of the services they are trying to access. Without access to that level and granularity of data, it will be almost impossible for the stadium service provider to really improve the quality of service being provided. Unfortunately, the challenge in those circumstances is that the majority of the data traffic in the stadium will be encrypted. In fact, Gartner has predicted that by next year as much as 80 per cent of all web data traffic will be encrypted. So how can the operators know what’s going on, if they can’t actually see the services being used? With advanced analytics solutions, operators have found it is possible to gain actionable insights and make their massive event preparations run smoothly on the big day. By applying machine learning and heuristics together with our real-time digital analytics to the problem operators get deeper visibility into the big blind spot of encrypted data traffic to extract the metrics. Armed with this intelligence, they can make adjustments to the network and service without compromising data security and privacy. Machine learning is used to provide sufficient visibility of the encrypted data and the traffic flow so that the network can effectively ‘self-identify’ the application service being used, for example streaming video on demand from specific sports app playing in HD resolution. Armed with that knowledge, the operator can then apply modelling to understand how it should adjust the network to deliver the best experience. At this year’s Super Bowl in Minneapolis we worked with the stadium network operator to provide real-time analysis of stadium upload and download network traffic. At any point during the game the operators could see a full picture with subscriber-level granularity on numerous items. Some examples include top ten apps services being used, the balance between HD and standard definition in terms of video streaming, how much content people were uploading, and what average data speed was being achieved. With spectators messaging friends, capturing videos and pictures of themselves or the players to upload to Twitter or searching for feeds showing highlights and replays; it’s vital to track all that network activity in real time. As well as maximising network performance, it becomes possible to detect any part of the stadium with connectivity issues, or even highlight a rogue user consuming a vast amount of data by trying to live stream the whole match. At the World Cup, the service providers will also be dealing with roaming subscribers from all over the world, many of whom will only wish to use free operator stadium Wi-Fi. Without that full network traffic visibility in near-real time, managing the service to deliver a quality experience will be all but impossible. But here’s the thing – spectators at an event have an increasing appetite for internet services and content. They represent a captive audience whose interests have been defined by their very presence in the venue – making them prime targets for special offers, promotions and add-on services. Those operators able to track ‘what’s going on’ within the network in real time, will not only provide the best customer service, they will also have the best knowledge of customer behavior to sell additional airtime and game-related services. By enabling users to do what they love to do, when and where they want to do it, operators have the ability to enrich life’s experiences. And in doing so, operators have the ability to create additional content services opening up new revenue opportunities. Keeping the activities and priorities in sync is fundamental for the operator to score profits while players on the field vie to score goals. 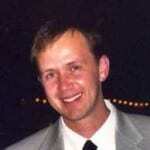 Derek Canfield is the General Manager responsible for Business Analytics at Teoco. He is a veteran of the telecom industry, having spent the first half of his twenty-year career working for a North American operator and the second half with Teoco. At Teoco, Derek leads the go-to market strategy for the analytics suite of products and services focusing on that key tenant of aligning technology with business objectives to drive innovation and market leadership.